Keown, Damien. 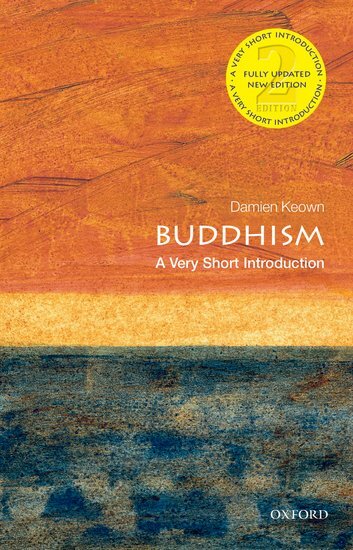 Buddhism : A Very Short Introduction. Fully updated and new edition. Oxford: Oxford University Press, 2014. Summary: “This Very Short Introduction offers readers a superb overview of the teachings of the Buddha, as well as a succinct guide to the integration of Buddhism into daily life. What are the distinctive features of Buddhism? Who was the Buddha, and what are his teachings? Words such as “karma” and “nirvana” have entered our vocabulary, but what do they mean?